After a three-year study of the carbonaceous chondrite La-Paz 02342, from NASA’s Antarctic collection, researchers have come to the conclusion that the comet fragment, of about one hundred microns, is composed of an unusual mixture of organic materials, amorphous and crystalline silicates, sodium sulphates, sulphides, and presolar grains; the latter synthesised in stars that enriched the original materials of our Solar System. Among other instruments, a secondary ion mass spectrometer (nano-SIMS) of the Carnegie Institution for Science (USA) has been used for its analysis, has been used for its analysis, which allows studying at a nanometric scale the composition of the meteorite at an isotopic and elemental level. “This fragment, technically known as xenolith, has unusual characteristics that we think were produced from the incorporation of primitive materials embedded in ice”, says IEEC-CSIC researcher Josep Maria Trigo-Rodríguez, who works at ICE and co-leads the study. “Many objects in the Solar System have a very different composition than the meteorites available in terrestrial collections. 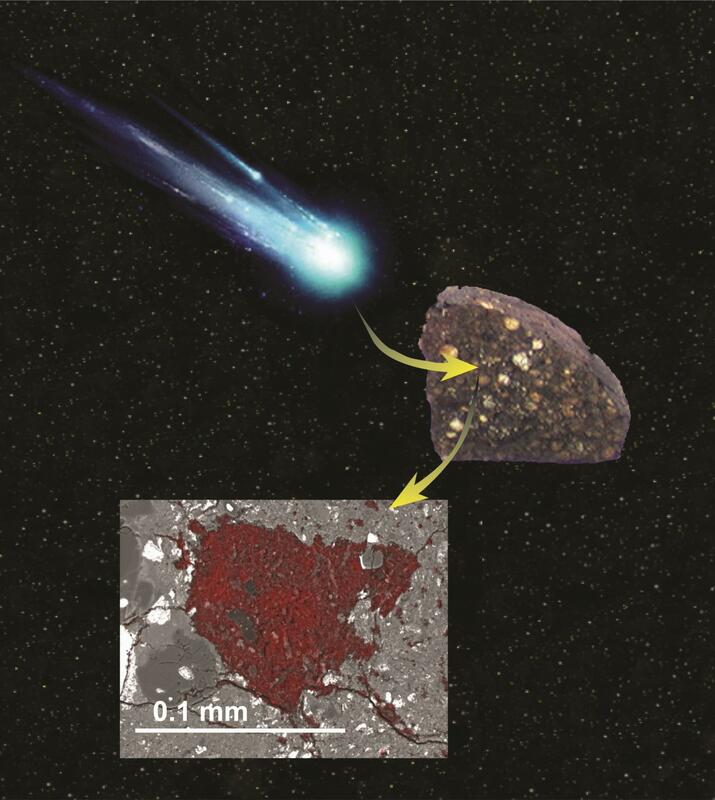 Carbonaceous chondrites, such as La Paz 02342, constitute a fossil legacy of the creation of the planetesimals in their interior and are capable of preserving unique samples of other objects much richer in organic and volatile matter, known as comets”, explains Trigo-Rodríguez. The search for primordial materials among the most primitive meteorites can be carried out at ICE, given that it is the only international repository of NASA’s Antarctic meteorites in Spain. The samples studied by the IEEC-CSIC scientific team come from NASA’s Johnson Space Center. Hence, researchers have access to unique specimens, being able to select those that have not undergone thermal metamorphism or extreme aqueous alteration.